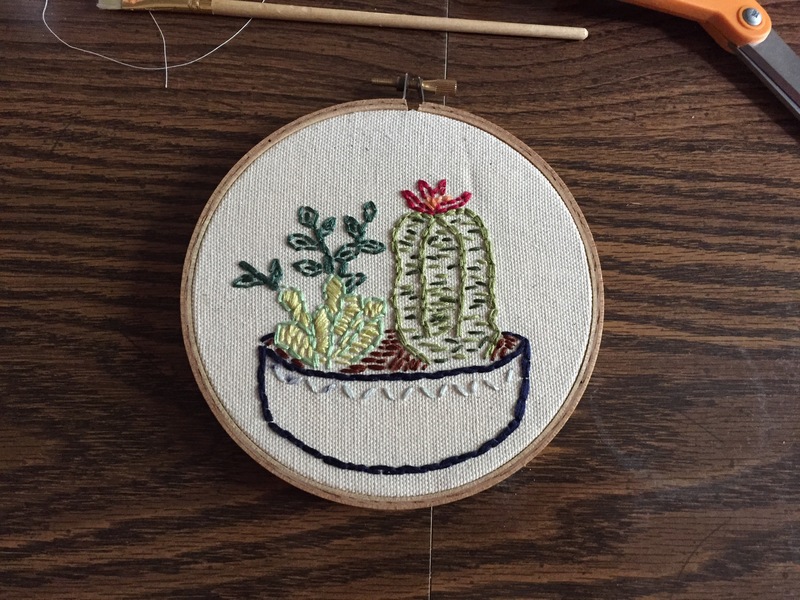 One night, I decided to do a little freehand stitching, not really knowing what I wanted the final piece to be. I started by creating the bowl, and then the different succulents started to take shape. Sewing can have a lot of rules, and I love – from time to time – to take a break from straight lines and even stitches to do something more spontaneous. The final product was the perfect addition to a care package a sent to a dear friend.